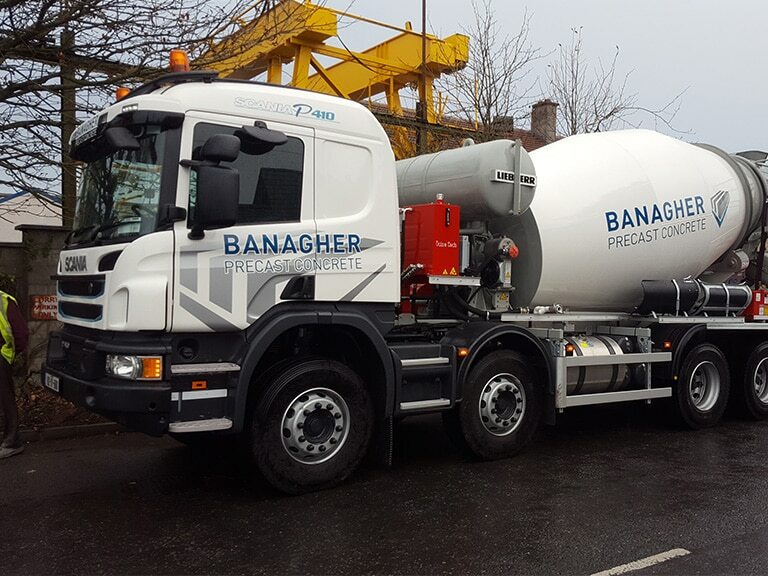 Banagher Precast Concrete brought the original ‘gang’ slat to Ireland in the 1970’s in response to the requirement for high quality, safe and durable slats and the Banagher Slat has been synonymous with quality ever since. 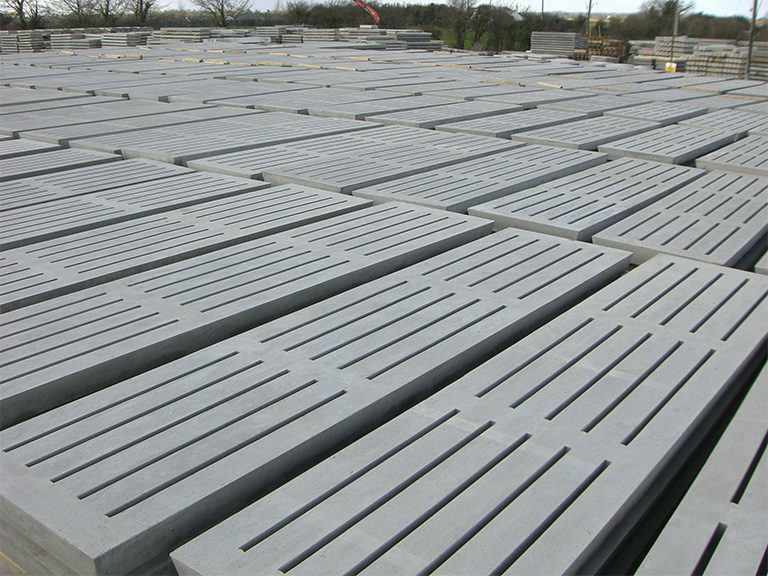 Slats are cast with high tensile reinforced steel and have a smooth finish on the sides to minimise blockage of the slots leading to efficient drainage and greater animal comfort. 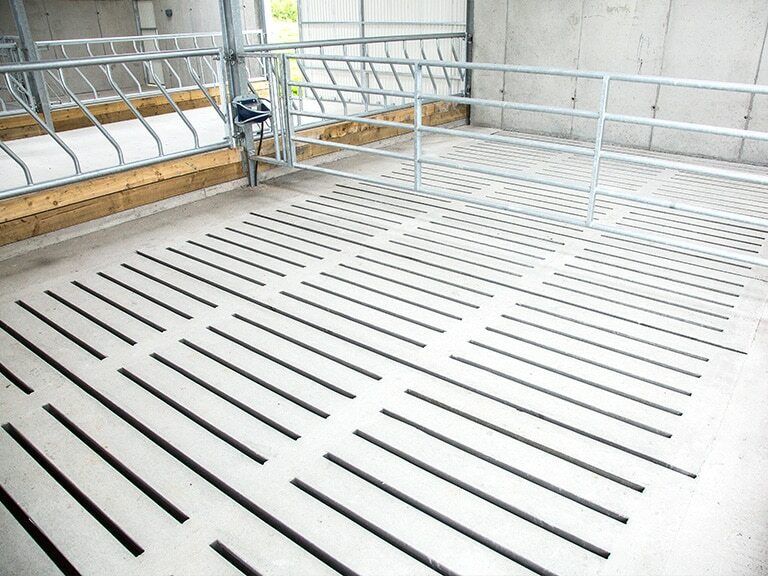 We bring our large scale civil engineering experience and our highly skilled workforce to create best in class cattle slats which have been approved by the Department of Agriculture. 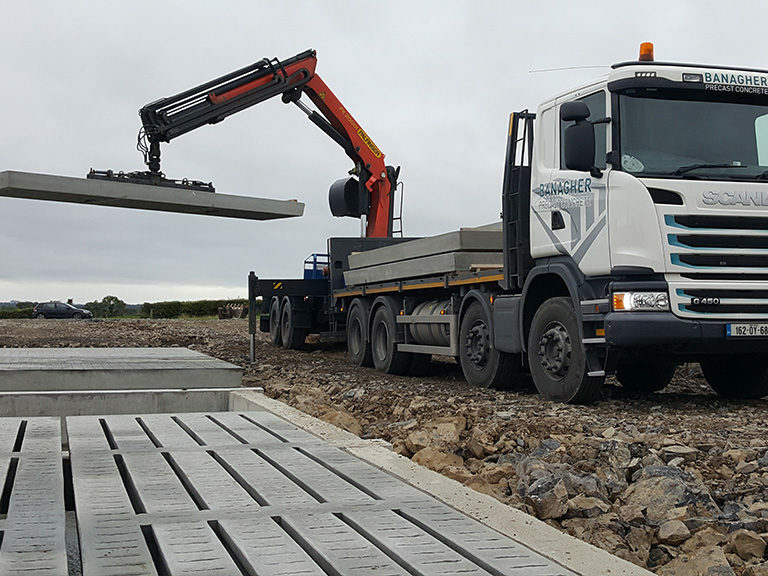 Our highly skilled and trained operatives deliver and install our Banagher Slats nationwide. 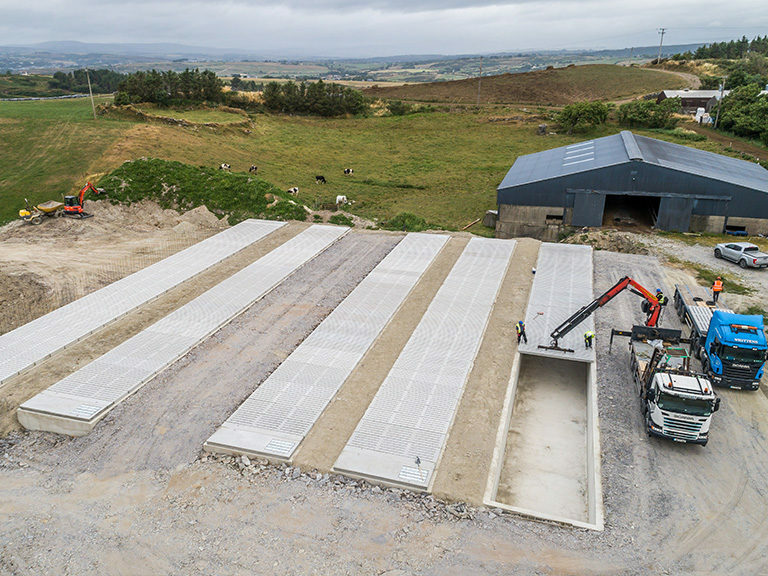 TAMS II is running until December 2020 under which farmers can get up to a 40% grant for new or replacement slats once the manhole slat is placed outside the shed. 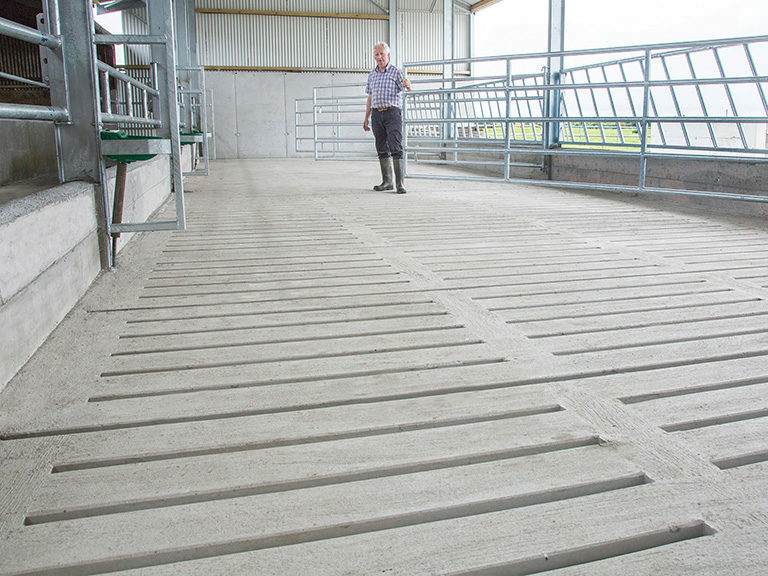 Fitting slats in new sheds can be done throughout the year but the best time to replace existing slats is when the cattle are out and the tanks are empty. Each farm is different so access to site needs to be assessed prior to replacement. Take the time now to inspect and plan.